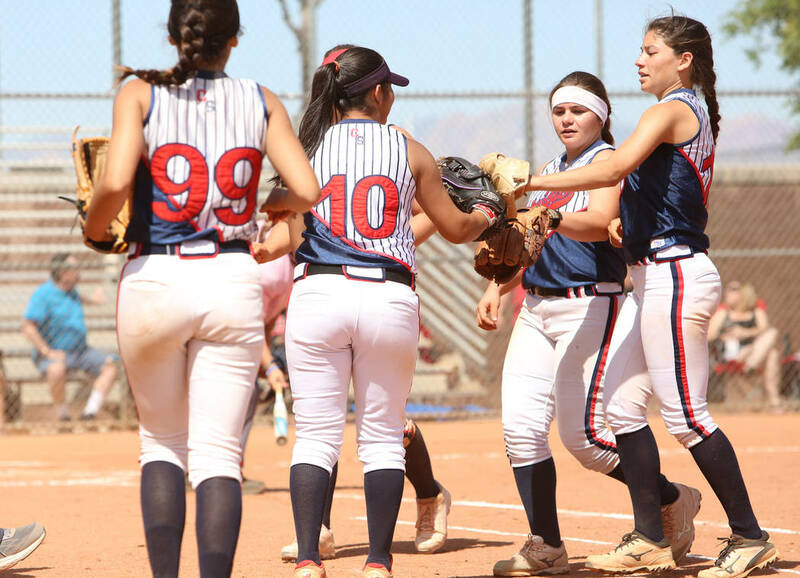 Breanna Alvarez spun a five-hit shutout, and every starter for Liberty had at least one hit in its 10-0 victory over visiting Las Vegas on Saturday. 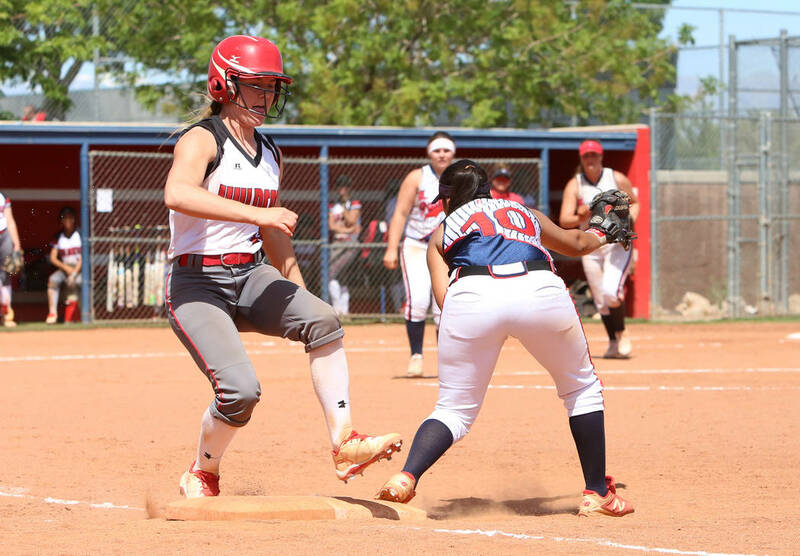 Liberty softball coach James Portese barely had enough players to fill out his lineup for Saturday’s Class 4A Sunrise League game against Las Vegas. But each of the 10 players Portese had at his disposal made a contribution for the Patriots. 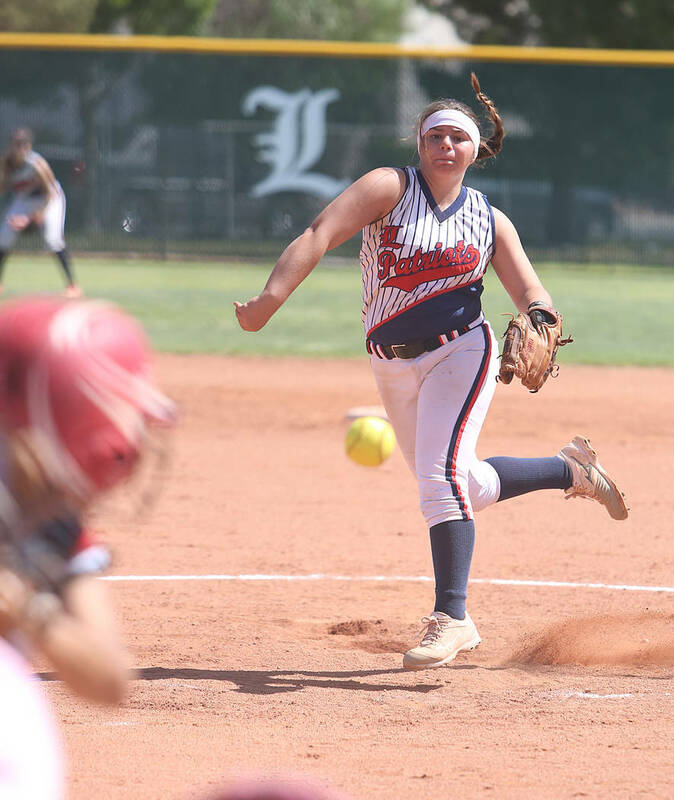 Breanna Alvarez spun a five-hit shutout, and every starter for Liberty had at least one hit in its 10-0 victory over the visiting Wildcats. McKenna Hefley was 3-for-4 with a double and an RBI, and Alvarez went 2-for-3 with a double and two RBIs for No. 6 Liberty (16-4, 11-2 Sunrise), which will be without junior shortstop Cali Christopher indefinitely because of an elbow injury. The Patriots broke open a tight pitching duel between Alvarez and Las Vegas’ Skylar Gorrell with two runs in the fifth inning and seven in the sixth to enact the 10-run rule. Jessica Meza singled home Shelby Carvalho, who opened the sixth with a double to deep center field, and Marisa Olmos had a two-run triple to give the Patriots a 6-0 lead. 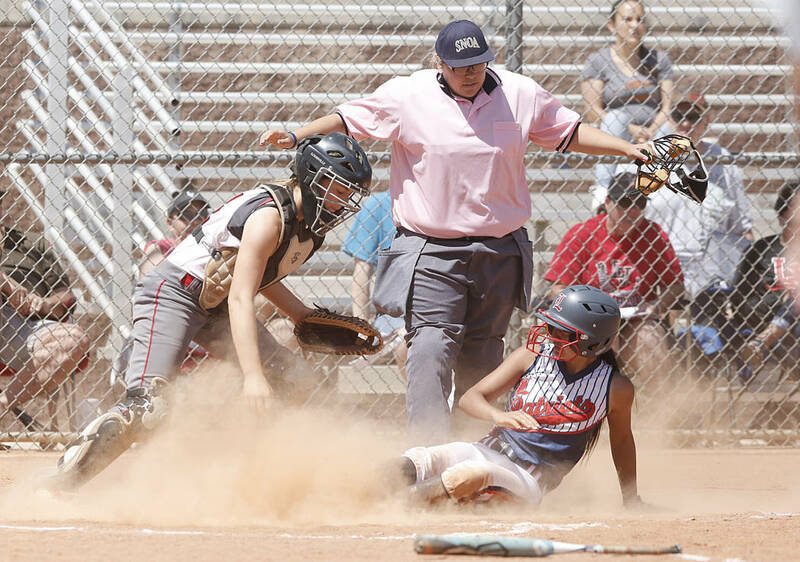 Morgan LaNeve, McKenna Hefley and Kylie Hefley added run-scoring singles in the sixth for Liberty. 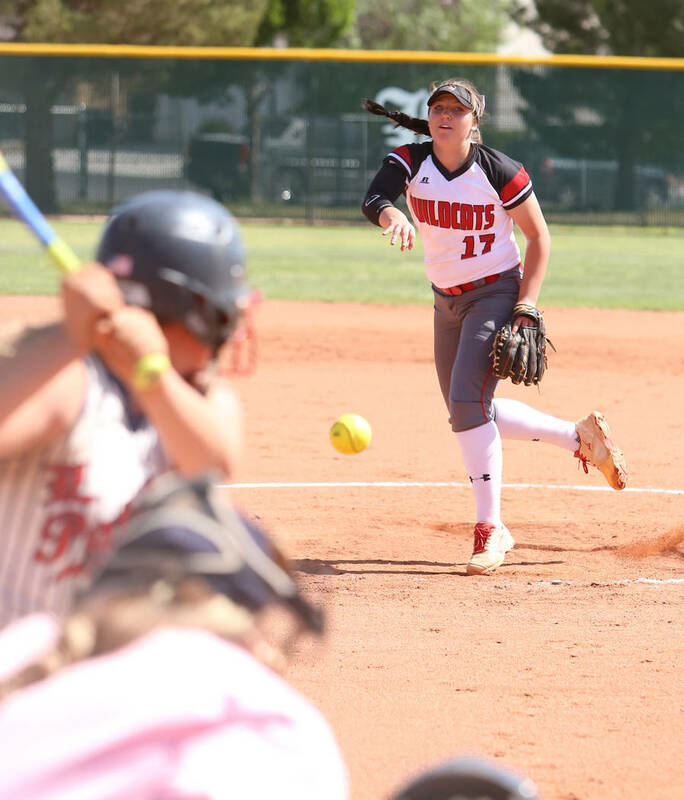 Alvarez struck out seven, walked two and threw 59 of her 92 pitches for strikes against the Wildcats (10-6, 10-6). 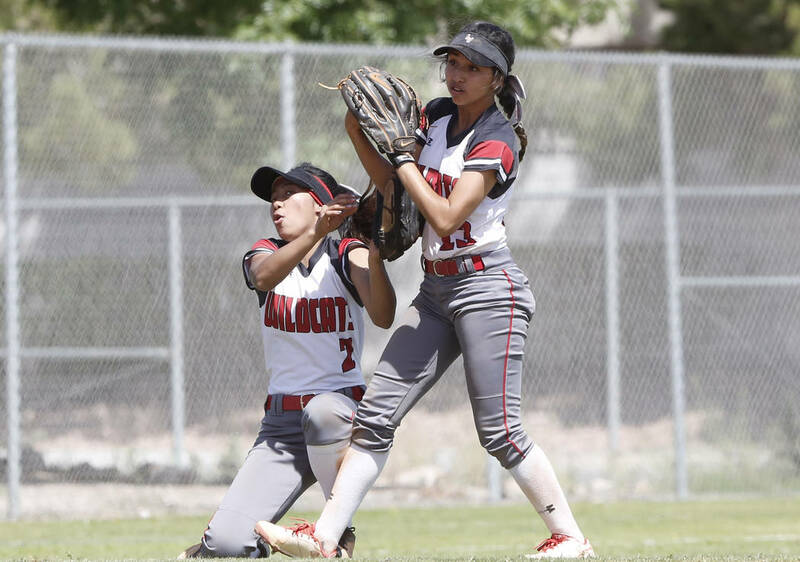 Las Vegas’ lone threat came in the fifth when Angelina Visitacion walked and Summer Horn singled to put runners on first and second with one out. But Alvarez retired the next two batters to end the inning.